On Monday the JDLand camera took another spin in the neighborhood, this time heading to 1st Street SE to visit the F1rst apartment building and its sibling the Residence Inn, which both of which are now open. The photo gallery is a big one, with so much newness for me to capture. The official F1rst web site and the Residence Inn site has all of the details you probably want, and so I am just let the photos do most of the talking. With that, onto the photos of both the apartment building and the hotel. This is a sampling--see the gallery for the full narrated tour. Fancy fancy. Nice views, for now. Definitely an area where before you rent, let alone buy, you need to do legwork to figure out what your view will be at full build out. I'm kind of surprised how much F1rst hypes up their "ballpark views" because they're really not that great IMO. It's not like you're going to sit up there and watch a game (unless it's on the TV). Unlike some other Residence Inns, it doesn't look like this one has any two bedroom suites. I looked into all the hotels for an upcoming family trip and the Homewood Suites wound up being the best/most cost effective for those particular dates. 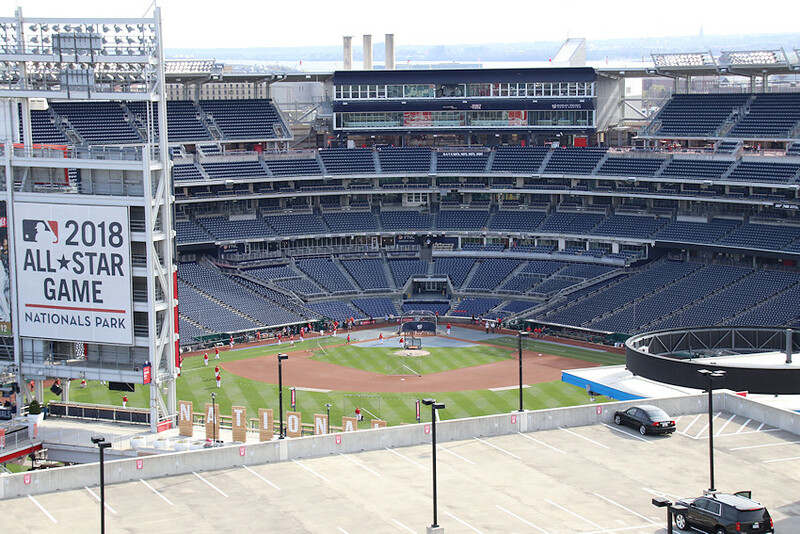 And speaking of the views, I *finally* went back up to the roof of the Hampton Inn to get photos of the completed Top of the Yard, and a not-crappy photo of the view into the ballpark. I think 1221 Van's is better. Below is the Top of the Yard view. Will be interesting to see the West Half and 1250 Half views. But yeah, I think the folks at F1rst do have a bit of a conundrum about not only the comparative state of their ballpark views, but that they are basically going to disappear once 1250 Half is built.